Rendering speed has always been a concern for many Filter Forge users. Filter Forge 7.0 brings in improvements to sample caching that can speed up lots of filters. New instant component search makes adding components to your filter faster and easier. Filter Forge 7.0 refreshes 47 existing components, making their list and slider inputs mappable. It simplifies filter creation and gives authors more room for creativity. 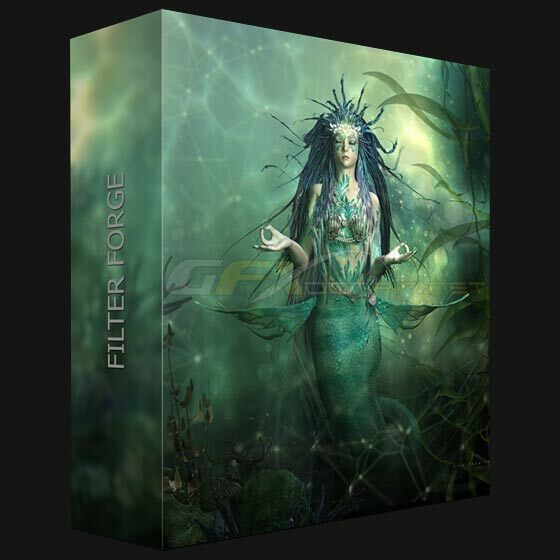 Filter Forge 7.0 adds support for copying and pasting images that allows you to use Filter Forge together with any image editor regardless of its support for plugins. Thanks to the recent renderer rewrite, Filter Forge 7 brings in the ability to generate all render channels simultaneously and in parallel with the final image. You can now preview the channels being rendered and quickly switch between them without restarting rendering. The new Export dialog implements the long-awaited option to export multiple render channels at once. You can select specific images for export and fine-tune their export settings.